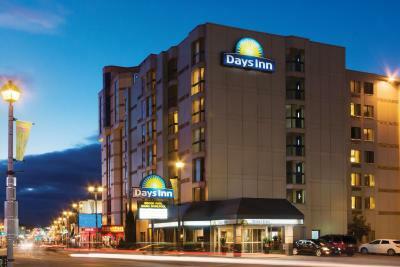 Lock in a great price for Days Inn by Wyndham Niagara Falls Near The Falls – rated 8 by recent guests! The breakfast was included,... most of the time three fresh fruits, crescent bread, bread for toast, and two kinds of bagels, mini muffins, yogurt, three cold cereals, packets of two kinds of oatmeal, coffee, apple and oj, milk, and hot chocolate. peanut butter ,jelly, butter and a herbal cream cheese. This help cut down on food costs. Some local hotels do not have breakfast available, and free. There is one elevator, which was ok, alittle slow, and could smell oil when in it, but it worked. Front desk staff excellent, nice, and helpful. maps available of area. I read reviews and fine print when booking hotels, and knew there is a parking fee per day. In Niagara falls there are parking fees everywhere. We walked our legs off to get most everywhere in the area to decrease parking costs. They do have a bus service in town, which in some tourist package deals include bus passes. This hotel is centrally located, and a short distance from falls, about 10 min walk. The location is absolutely fantastic for people with kids. 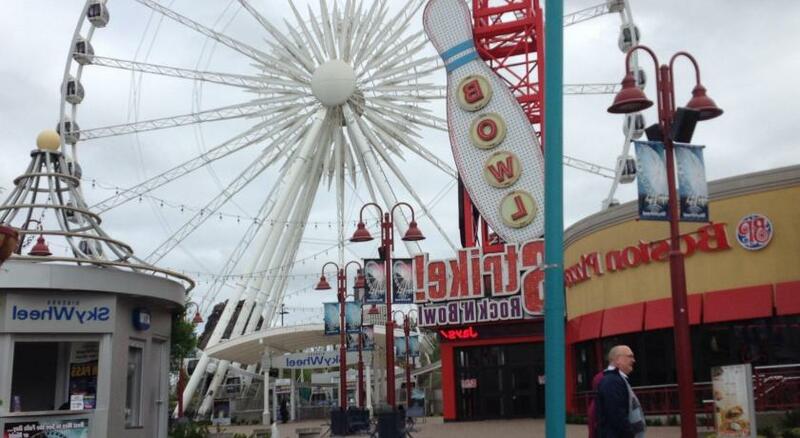 Clifton hill and several eateries are right within easy walking distance. The staff is nice and willing to help and the rooms were cleaned well. Bed was comfortable. Location was good. Breakfast was ok. The location was amazing! So close to everything! The people at the front desk were SO nice and helpful! Overall, it was a really nice stay. Good value for money in the off-season for a quick weekend getaway. Good central location. I like the location is walkable to every thing you need and fun stuff for kids. Nice swimming pool with sauna and whirlpool. There was mold in window sill I told from desk he refunded my Parking smokeless room are clothes smell like smoke ! We are both non smokers ! I have pictures that I can send to you ! I would like a full refund. Days Inn by Wyndham Niagara Falls Near The Falls This rating is a reflection of how the property compares to the industry standard when it comes to price, facilities and services available. It's based on a self-evaluation by the property. Use this rating to help choose your stay! One of our top picks in Niagara Falls.Just a 10-minute walk from Horseshoe Falls, this Days Inn by Wyndham Niagara Falls Near The Falls features an indoor pool and hot tub. Rooms are equipped with free Wi-Fi and a satellite TV. 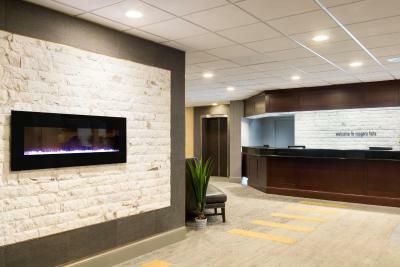 All classically furnished rooms at the Days Inn by Wyndham Niagara Falls Near The Falls include a seating area. A coffee maker and hairdryer are provided in every room. 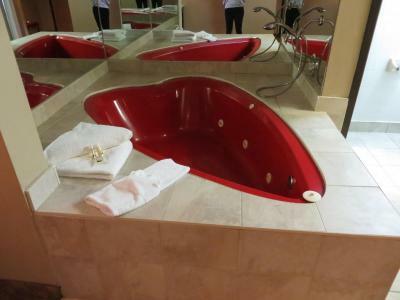 Some rooms offer an oval-shaped hot tub, while others are equipped with heart-shaped hot tub. Guests can relax in an on-site sauna. The hotel staff is available around the clock at the 24-hour front desk. 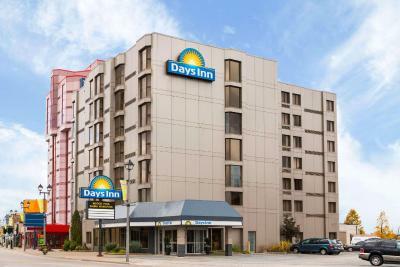 Days Inn by Wyndham Niagara Falls Near The Falls offers a continental breakfast each morning. 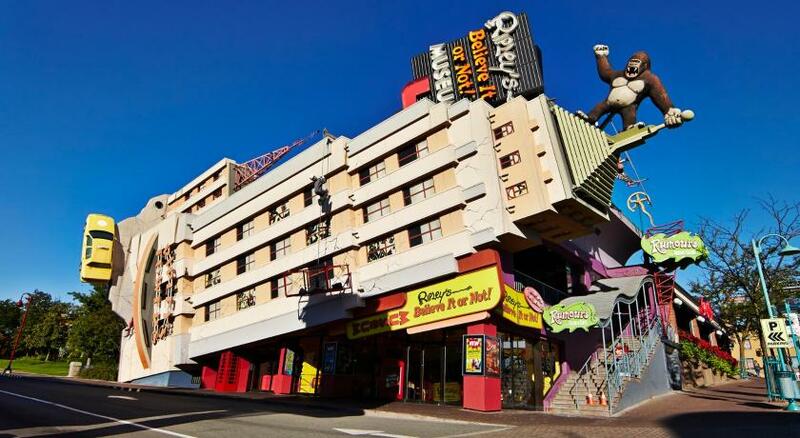 Ripley’s Believe it or Not Museum is a 5-minute walk from this hotel. 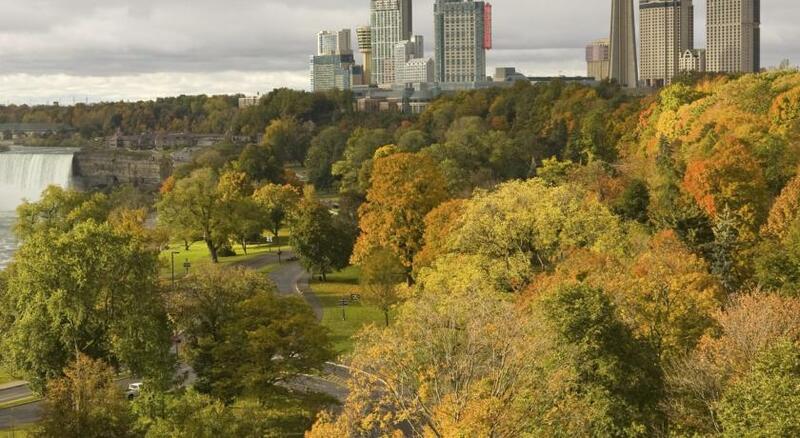 The Skylon Tower is less than one mile from the hotel. When would you like to stay at Days Inn by Wyndham Niagara Falls Near The Falls? 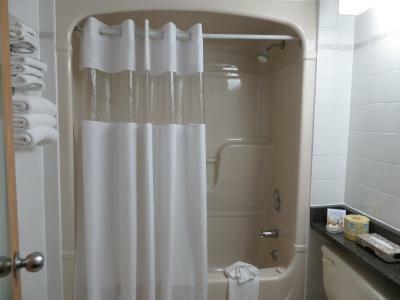 Offering a heart-shaped hot tub, this room features air conditioning, a cable TV and a private bathroom with a hairdryer. Coffee and tea-making facilities are provided in this room. Breakfast and free Wi-Fi is also included. 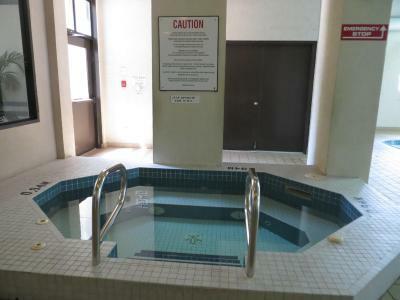 Offering an oval-shaped hot tub, this room features air conditioning, a cable TV and a private bathroom with a hairdryer. This room features air conditioning and tea/coffee maker. House Rules Days Inn by Wyndham Niagara Falls Near The Falls takes special requests – add in the next step! Days Inn by Wyndham Niagara Falls Near The Falls accepts these cards and reserves the right to temporarily hold an amount prior to arrival. Please note, the minimum age of check-in is 21 years old. Staff is amazing, very friendly and helpful, very clean hotel checking in is fast. This is my go to place. Big plus is the free breakfast. No hot food but enough to start your day. TV channel selection not the best. some channels fuzzy. Not use to low countertops in bathroom or lower then normal seat on commode, but ok. I have a bad knee which made it harder to get up, but did not ask for handicapped area, as I do not consider myself that. I was told that parking would be included with the price of the hotel but that was not true (to the tone of 50 usd for our four night stay). I am not sure where the mix up was but I picked this hotel for reasons of location/price/pool/parking so I was a bit frustrated. Breakfast was a bit flat as well--bruised and battered fruit and stale croissants as well about four cereal options and two bagel options and toast. It was nice that I didnt have to factor breakfast into what I was buying for the day, but by the last day I ended up buying breakfast out because I was ready for something else (breakfast is my favorite meal of the day though to be fair, so if it's not a big deal for you or you are only staying a couple nights I would keep that in mind). The pool was to cold, the beds were super hard, found the room very out dated. Plus my hubby and I couldn’t charge our cells at the same time on the plug device they had. The lights fixture beside the beds kept turning itself to its side when turning light on. Breakfast was not the best. An unforeseen circumstance, where the city dug up the sidewalk at 730am. Wow that's loud. The staff were excellent. Especially the young esat Indian gentleman who worked evenings. Dirts came out from inside the jacuzzi tub after switching on the motor. Exhaust fan on thewashroom is broken. No meats, pancakes and even eggs for breakfast. Suggestions to have a mini fridge. Nice..clean...location great...free breakfast...staff nice and friendly. Pool here. Overall good experience. I would return. The in room hot tub was really dirty, spent half an hour picking hair out. The pool was cold didn't go in to use it. The beds were super hard now have a sore back. Breakfast could've been better and alot more options. Plus one of the staff members butted in front so they can grab food before I an get some. Not impressed. Plus Elevator needs improvements. Its started to move before doors were closed. And you can smell oil in it very strong. Love how we had a great view and that they arrange that me and my sister can have our rooms close by. The room had mold around the window, the shower door was pulling away from the frame, and the room had no mini fridge. The location was great, staff was friendly and the bed was really comfortable! The coffee machine - coffee in the room was good. The breakfast was good the coffee wasn't. The staff were so friendly and even called us after we were in the room to see if we were happy or needed anything.